Économisez $170.00 en choisissant cette option maintenant. 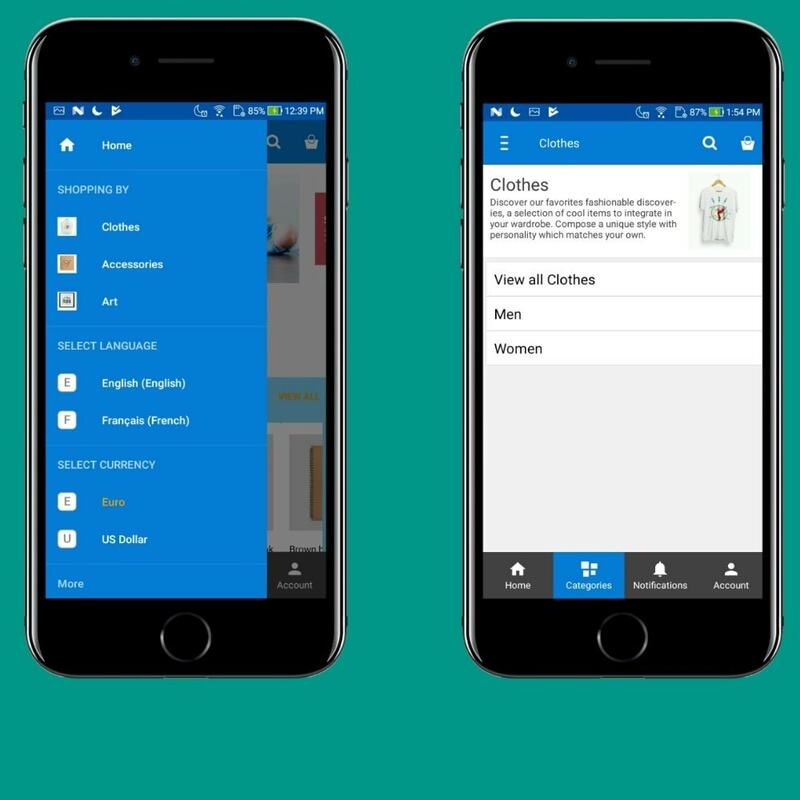 This app will convert you Prestashop store into a completely native app for Android and iOS. 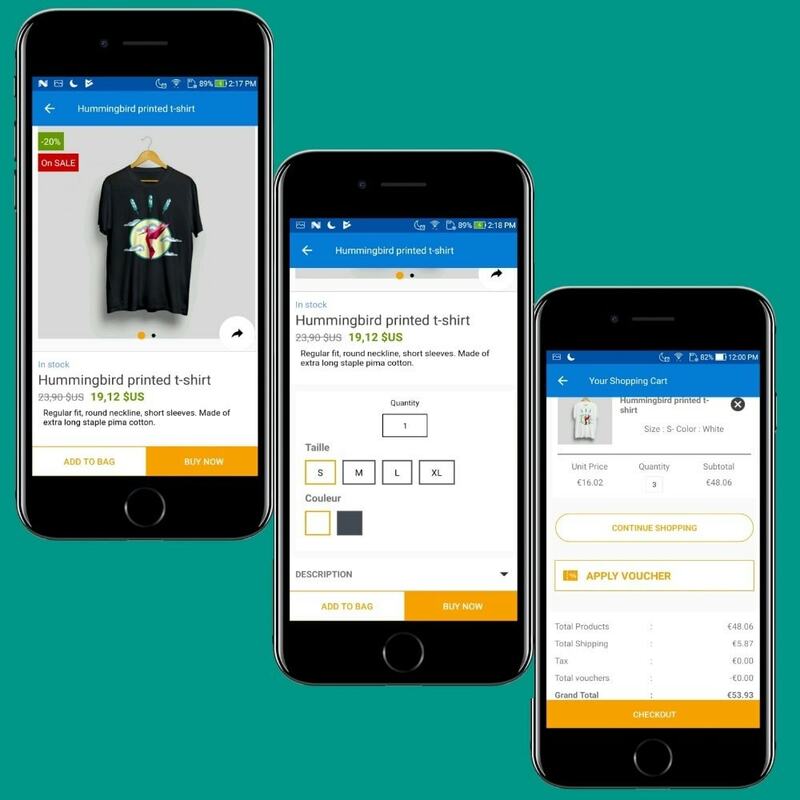 The features of the app will pertain to give both customers and store owners with revolutionary features to increase store sales. 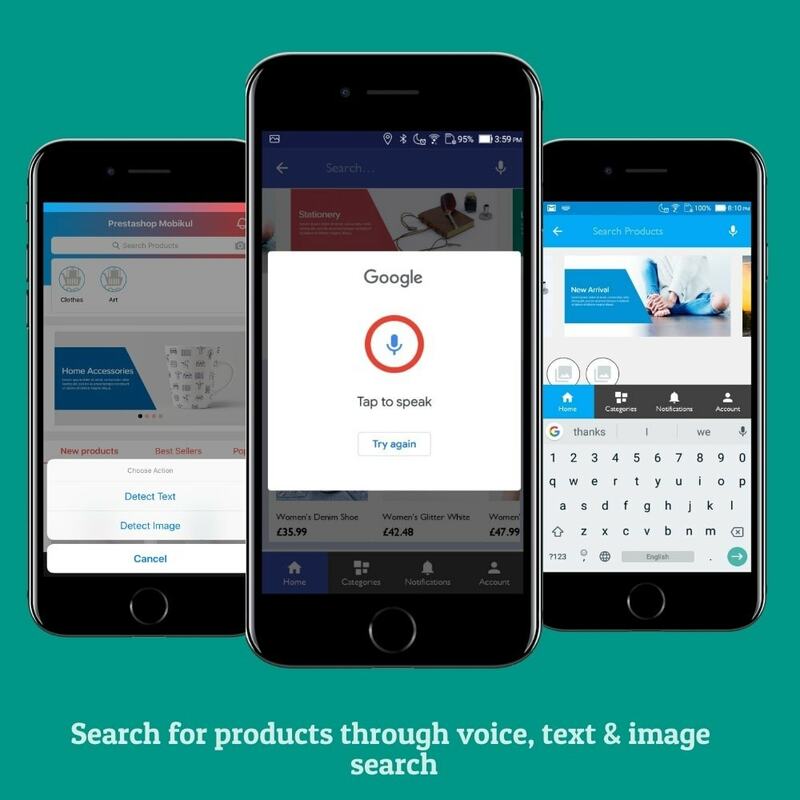 Mobile apps are today's most buzz thing as they happen to connect the customer with the store in a more effective way.Prestashop Mobikul will help you to convert your PrestaShop store into a complete mobile app. 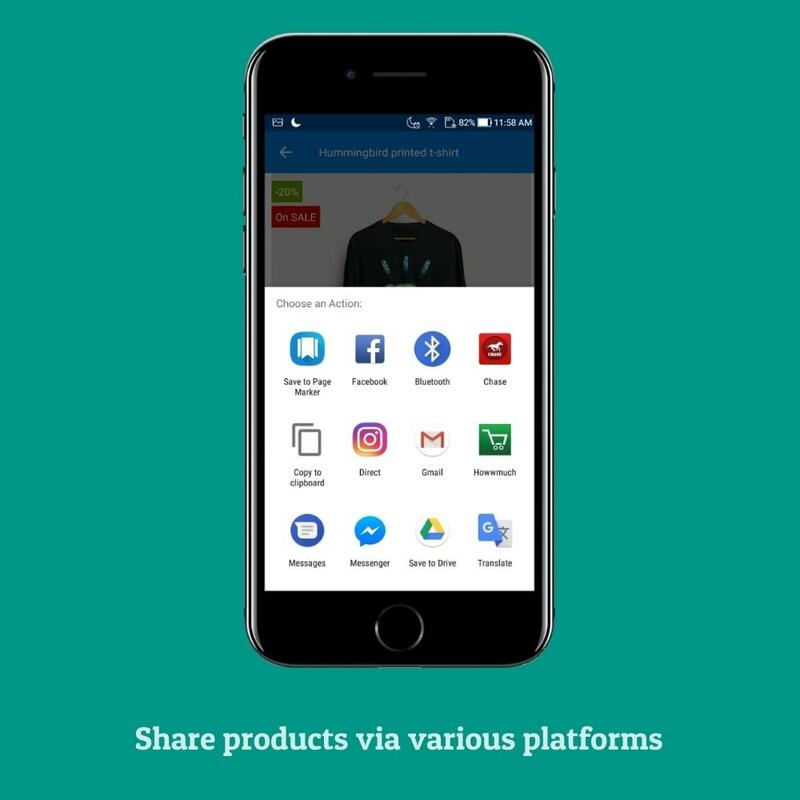 This app will allow your users to have all the functionalities similar to your PrestaShop site on their Android & iOS phone. Can help a lot in increment of store sales, which will generate high revenue. 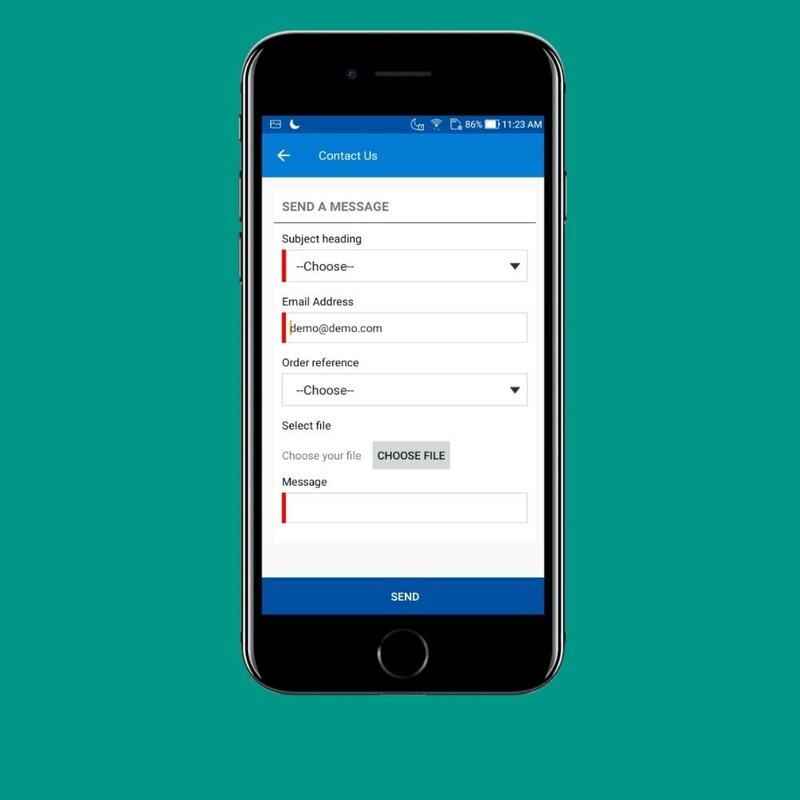 Admin can send the customer unlimited push notifications. 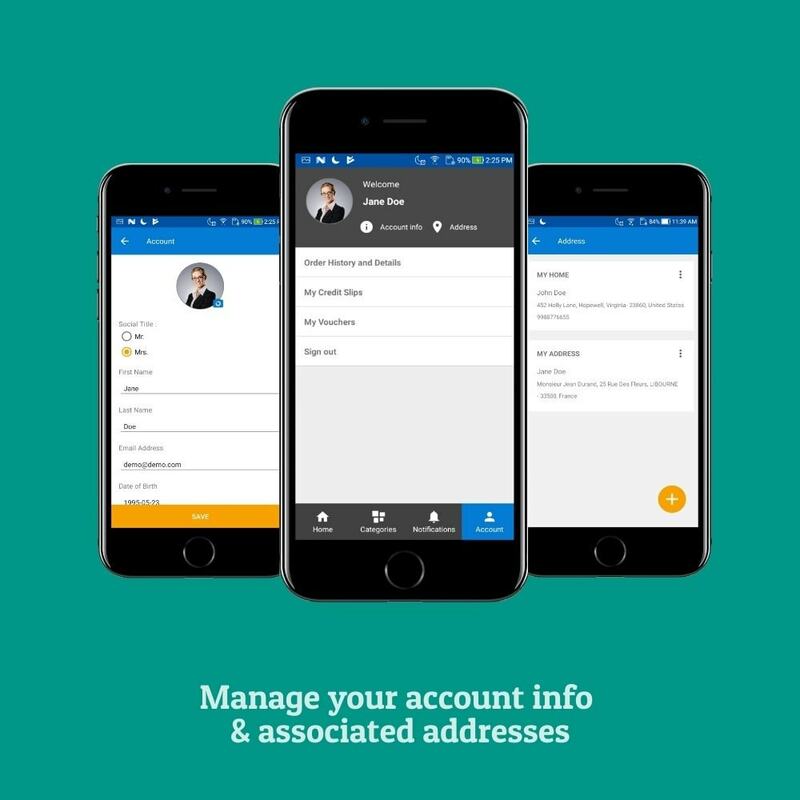 The app is fully customizable as per business requirement. Admin can easily manage both the applications from the Prestashop store backend panel. 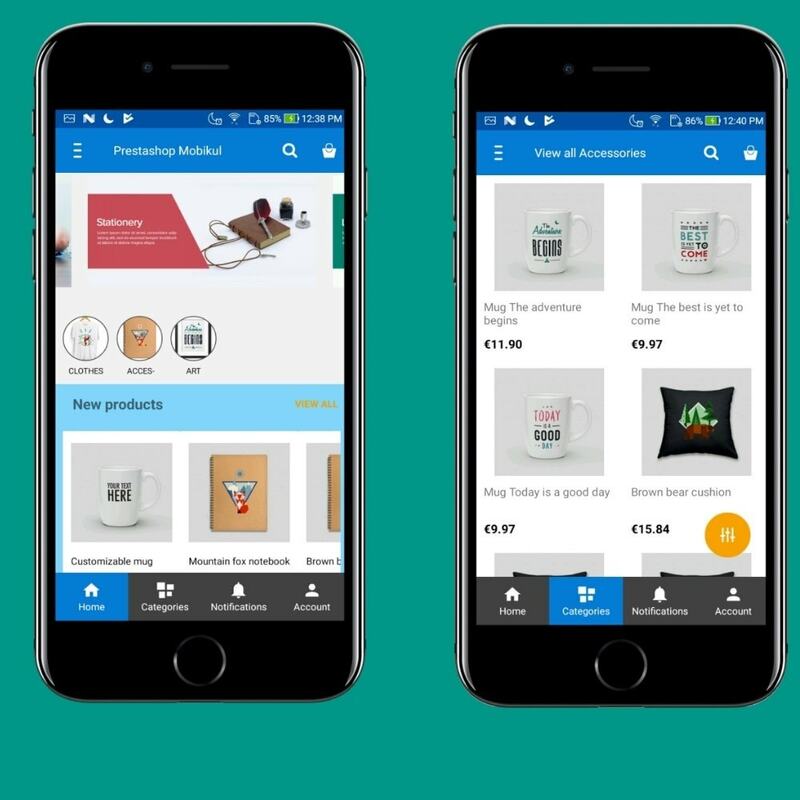 The Prestashop store will convert into a complete mobile app. Lead to increased sales conversions. The customers can easily create their account. 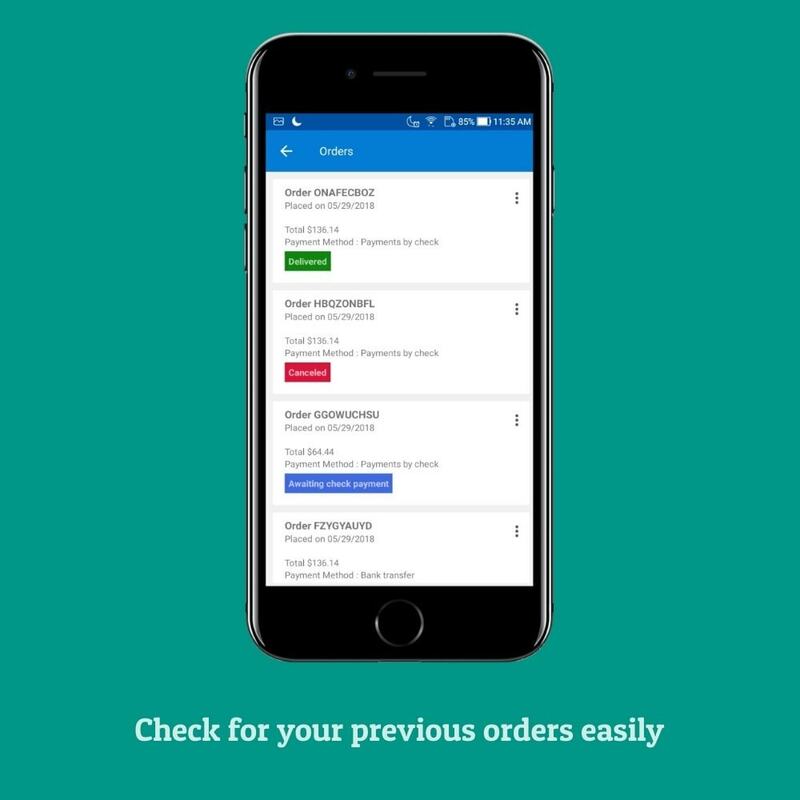 Customers can view their previous messages on order details page. 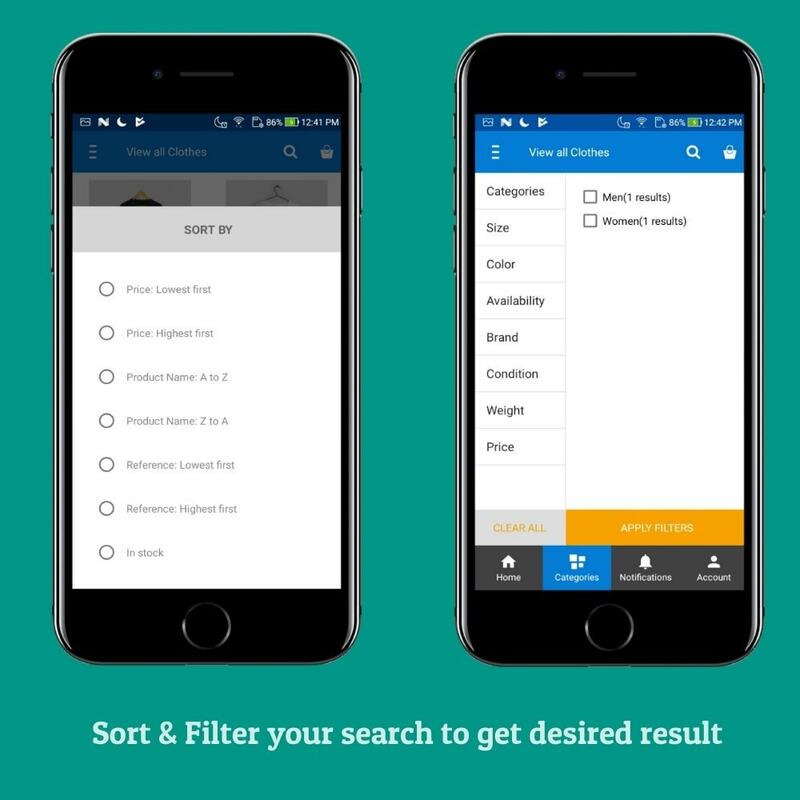 Provide layered navigation to filter the search. Customers can add the products to their wishlist. Customers can comment on their orders. 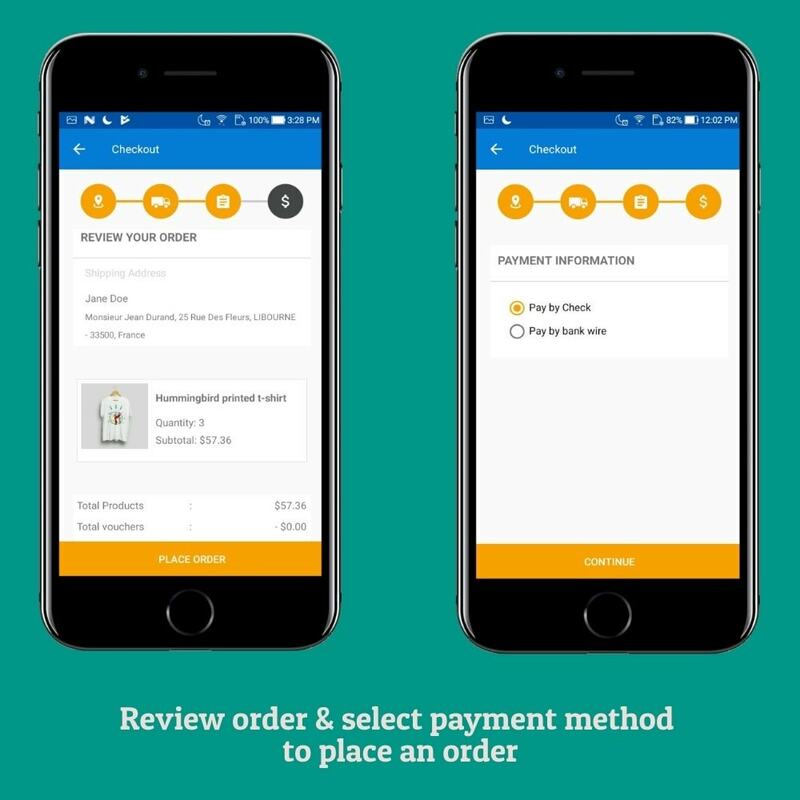 Customers can view and use their vouchers easily. Customers can upload their profile picture. 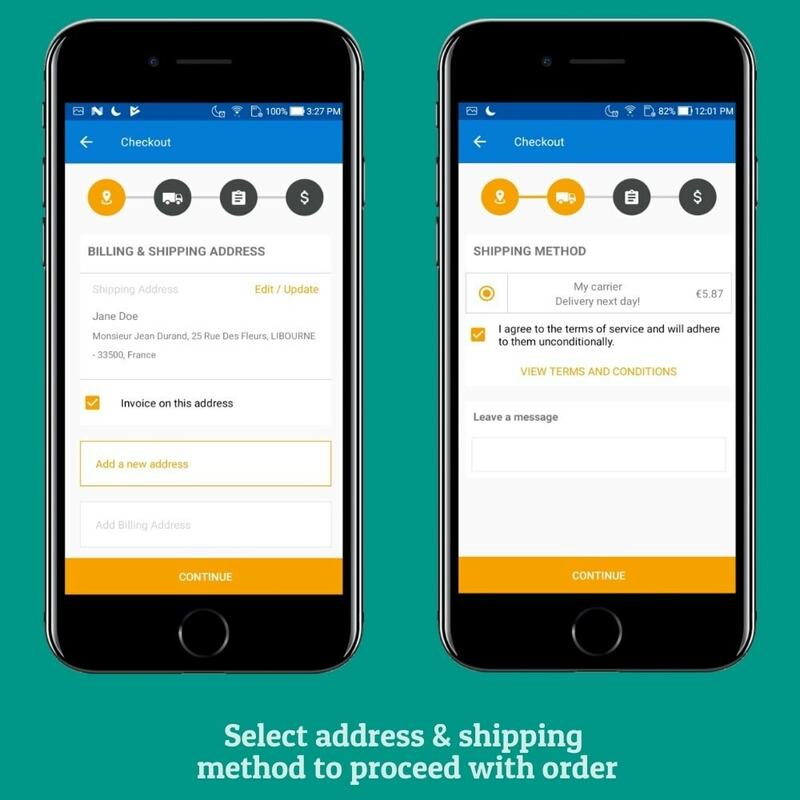 Customers can place a request for product return. Customers can view their return requests. Customer can checkout as a guest. If you have any payment gateway or method integrated with your store, we will give you free integration for one payment gateway in application. Our module which is to be installed on your site doesn't make any changes in your website its only for our application integration. The customer can access the store from anywhere and anytime. The app can work on Offline mode as well. Enjoy enhanced layered navigation functionality to yield optimized results. The customer can easily review order history. The customer can view their credit slip (received against the return of a product purchased). 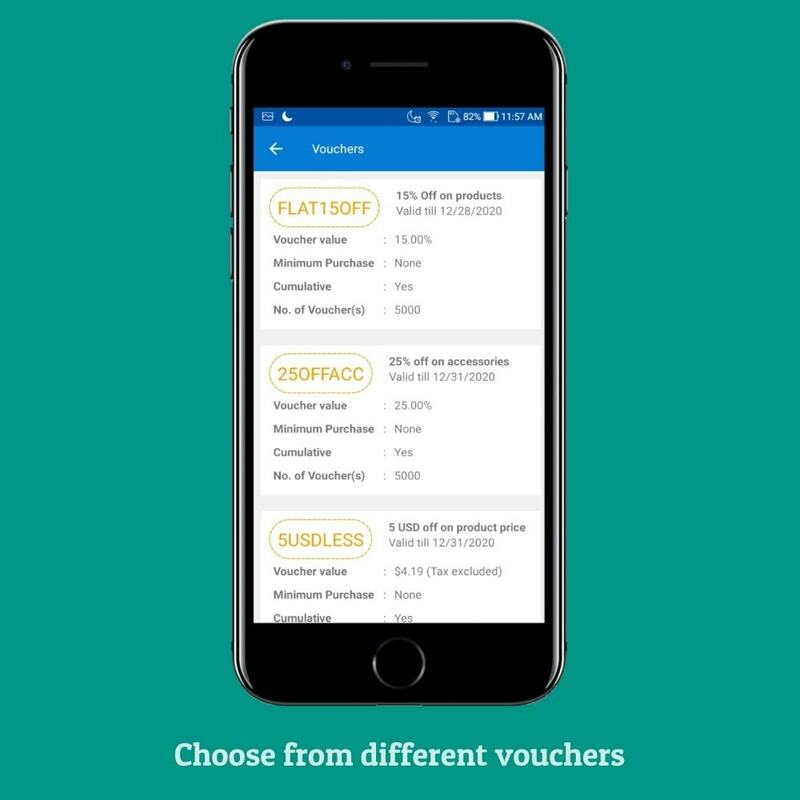 Users can view and use their vouchers easily. 1. A module will be added to your web store to communicate with mobile application. 2. We have to enable the web service key on your site. 144 x 144 pixels for android. 500 X 500 pixels square icon for iOS. Placeholder for images (500 X 500 pixels). Status Bar icon (white icon on transparent background of size 48 X 48 pixels). 4. With the given details and resources we will configure your site specific application for you. 5. Delivery of the .apk file. Turn your Prestashop store into a marketplace where sellers can add products, manage orders, manage profile, shop, product name and descriptions in multi-language. Seller can have complete SEO friendly shop and profile page. With the Preorder Module, buyer can preorder any product that is available for preorder by the admin. Buyer can either make the full payment or partial payment as the payment option provided by admin with the product. Integrates Prestashop with Odoo to effectively manage the resources and operations for your Prestashop Store.Synchronize and manage products, customers,orders, payment, shipping, inventory operation, accounting, etc for your Prestashop store.